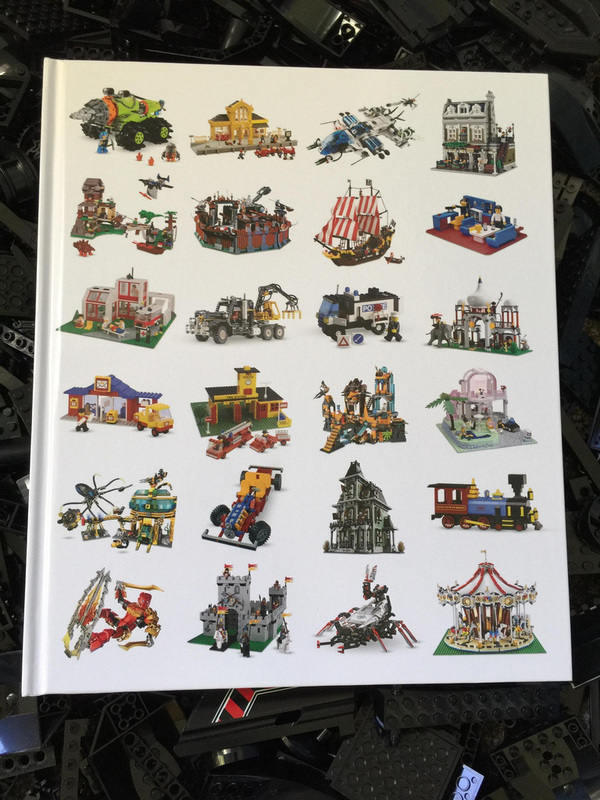 Update: The winner of the Great LEGO Sets book is Deborah Hitchman! Congrats Deborah, and thanks to everyone who entered. It was brilliant to read about everyone’s favourite sets. Another giveaway will be coming later on in the year. ​When I came back from holidays not long ago, I was pleasantly surprised to see a copy of DK’s Great LEGO Sets: A Visual History waiting for me. Now, I realise I’m a bit behind the times with this one, but I figured I’d run another competition to give it away anyway. 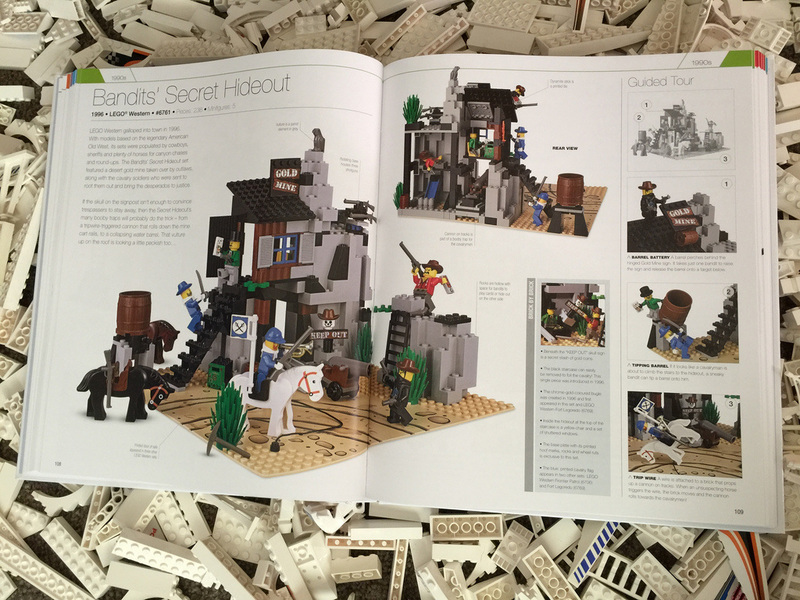 It’s a fantastic book that every LEGO fan should have on their shelves. Great LEGO Sets covers a brilliant collection of some of the best LEGO sets from LEGO’s archives. It’s the sort of book that gets you even more excited about LEGO, and what can be built from it. It’s an awesome book, with plenty of detail. Not only that, but you get an exclusive micro-scale Space Cruiser (11910), based on 928: Space Cruiser and Moonbase from the ever popular Classic Space theme that so many of us have grown up with. The book itself is only half the size of the packaging – the other half is the container for the mini cruiser, but that doesn’t mean it’s not as good. The cover of the book itself is so elegantly simple – a 4×6 grid of some of the greatest LEGO sets. It doesn’t have the title anywhere, except for the spine – the sets speak for themselves. 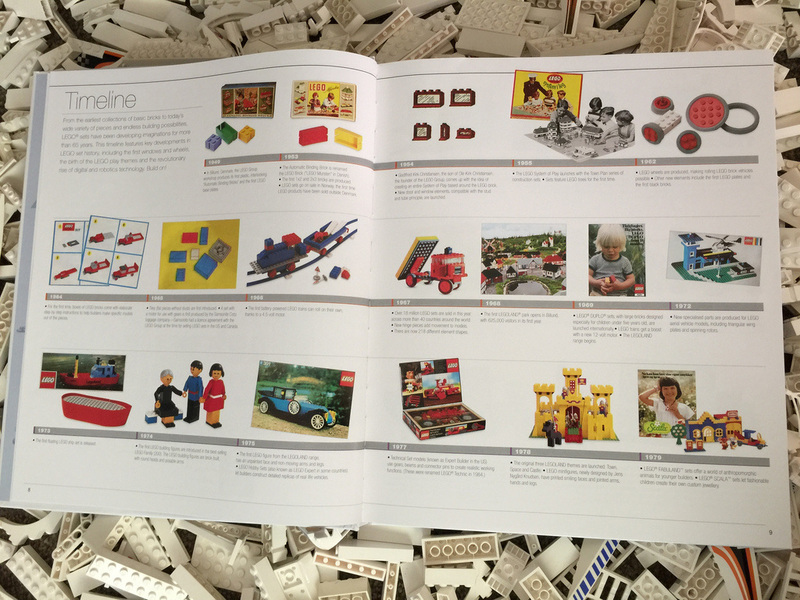 ​The book begins with a multi-page timeline of some of LEGO’s most important and game changing events. It manages to pack a lot of detail in. Next up is a very insightful section on how a LEGO set is made, from a beginning of an idea, to the final product. 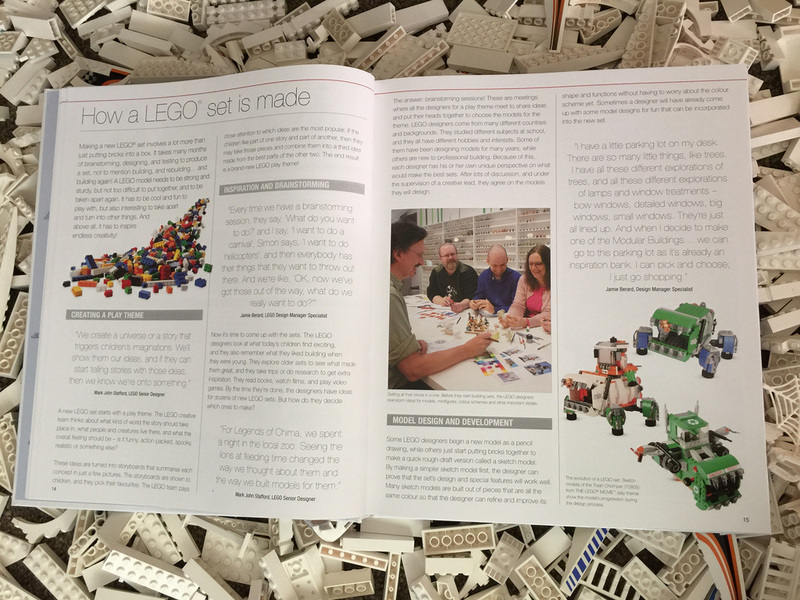 It’s a captivating read, and includes quotes and insights from some of the big names in The LEGO Group. ​I spent a good few hours pouring over the information in the book. It covers everything from the very first sets, to Space, Modulars, Pirates, Castle, Town, and some of the more obscure themes like Exo-Force, Adventurers, Paradisa and more. I have a fair few of the DK LEGO publications, and this is easily my favourite. It contains beautiful photography, heaps of details and insights, and is a great visual guide to the greatest sets ever produced. Each set outlined in the book also has loads of trivia notes, snippets and historical content relating to each set. I learnt quite a lot. 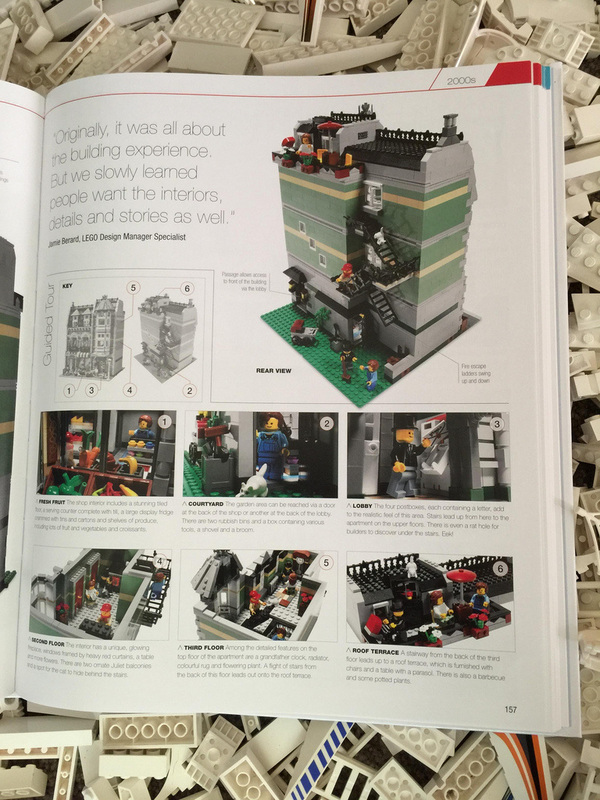 ​This is the sort of book that brings out a lot of emotions when flipping through it’s pages – pride that you own the set, envy and regret that you don’t, amazement that it’s still LEGO, and an ever present nostalgic feel. This book is a must have. ​The set you get with the book (bear in mind that some versions of it don’t have the Mini Space Cruiser) is also pretty great to look at and to build. Pouring out the small pile of blue and grey just made me instantly happy and nostalgic for the Classic Space theme. 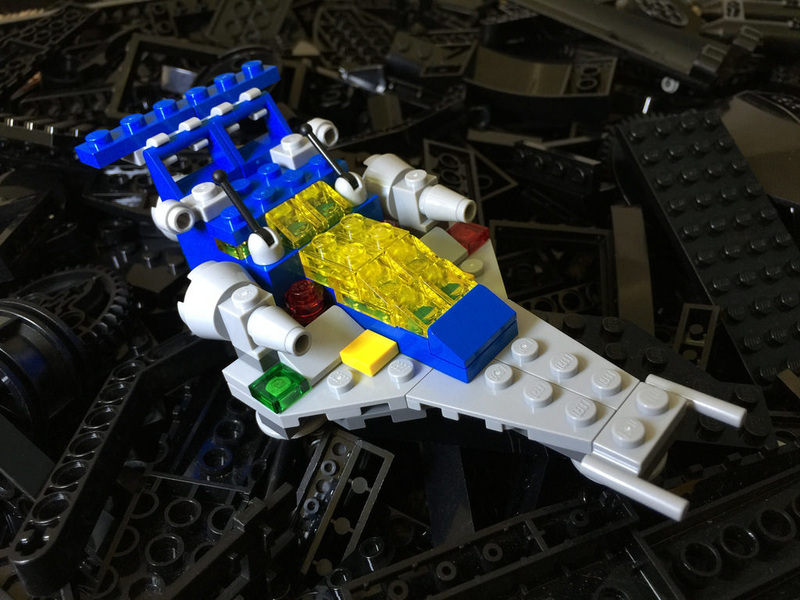 ​11910: Micro-scale Space Cruiser is brilliant! It’s quite a big instruction booklet for a small set, but the model is great, is a great visiual representation of the full sized ship, and even has the back that opens to reveal a tiny moon buggy, just like the big one. That was a definite surprise! While the book itself is a little more expensive at AUD$49.95, it’s well worth the money. This book is one that is going to be picked up again and again when left on a coffee table. This book gets 10/10. Yes, it’s that good. Lastly, and definitely not least, a massive thanks to DK Books for sending me a copy to review and giveaway. You can purchase a copy of Great LEGO Sets: A Visual History from Penguin Australia’s online store, or read on to win a copy for yourself! 1. Leave a comment on this post and let me know what your all time greatest LEGO set is. 2. 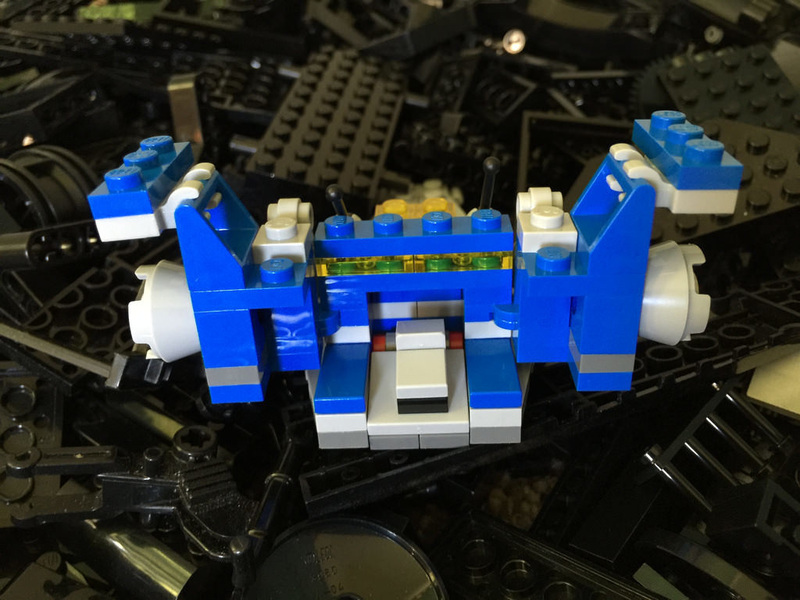 Give BricktasticBlog a like on Facebook, if you haven’t already! ​3. Be a resident of Australia with a valid postal address – not a PO Box. The winner will be selected at random using RandomPicker. Entries close at 11:59pm (WST) on Tuesday March 22, 2016. The winner will be announced (and contacted via Facebook) on Thursday March 24. If no response has been recieved by the winner within 72 hours of initial contact, a new winner will be drawn.